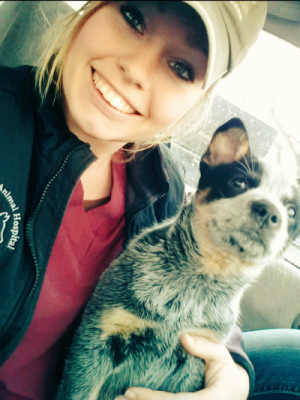 Welcome to Smokey Valley Animal Hospital (formerly Countryside Animal Clinic). We are a full service small animal and large animal medical and surgical hospital. Offering both in- hospital and on farm (mobile) veterinary services. Payment is due at the time of services. We accept cash, check and all major credit cards. Dr. Lacey was born and raised in McPherson, Kansas. He graduated from McPherson Senior High School in 1996. Dr. Lacey holds degrees in Finance Management (Tabor College, 2000), Animal Sciences and Industry (Kansas State, 2008) and a Doctorate of Veterinary Medicine (Kansas State, 2010). 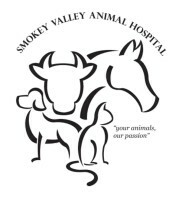 Prior to purchasing Smokey Valley Animal Hospital in 2012, Dr. Lacey was employed by the Washington Veterinary Clinic in Washington, Kansas. He enjoys the daily variety that comes with working in a mixed animal hospital. Although free time is a precious commodity, when possible he likes to spend time outdoors especially with his German Shorthaired Pointer, Doc. Dr. Kenneth Johnson grew up in Assaria, Kansas and is returning “home” after practicing 18 years in Washington, Kansas. Dr. J’s family includes his wife Sally, oldest daughter Hilary and her husband Austin of Lindsborg. His son Hunter who is at Kansas State and their youngest daughter Haven who is a senior at Ell Saline High School. He enjoys mixed animal practice because it’s something new each time the door opens or the phone rings! 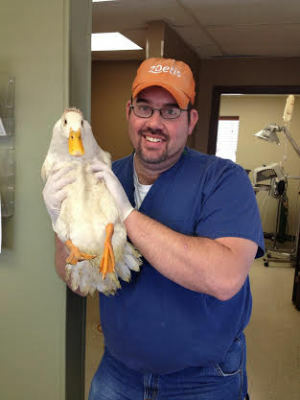 Dr. J has a passion for large animals, but can’t walk away from any animal in need, except “Jayhawks!”. In his spare time he enjoys spending time with his family, K-State sporting events, and the outdoors with his German Shorthair Sage. Larissa grew up on a dairy farm near Canton, KS. After graduating from Elyria Christian School in 2012, she came to work at Smokey Valley Animal Hospital. She has since attended Hutchinson Community College and is a certified Artificial Insemination Technician. 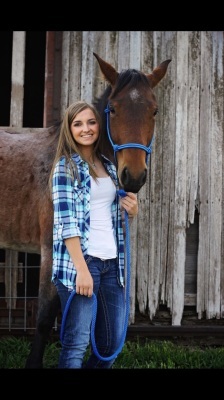 She enjoys spending time with her horse, Tex and blue heeler, Sage and being outside on the farm. Leah grew up on a farm north of Galva. She attended Canton-Galva High School and graduated in 2007. She now lives south of Canton with her husband Troy, two children Kloey & Jace, and step-son, Hunter. 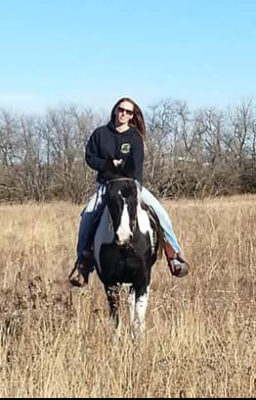 Leah enjoys spending time with her family, hunting, farming, and riding her horses. She joined Smokey Valley Animal Hospital in the fall of 2016. 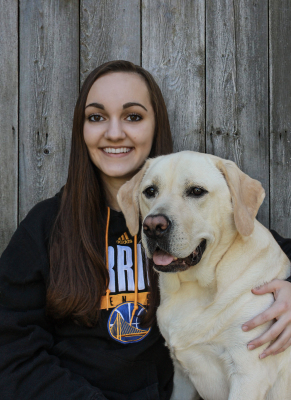 Danielle is from McPherson and is currently going through the vet tech program at Colby Community College. She enjoys spending time with all her animals. She has a horse named Lou, two dogs- Maggie and Oliver, a cat named Gus Gus and four goats- Enos, Edith, Erma, and Evie. Katelyn lives in McPherson and is currently a junior at Elyria Christian School. She enjoys playing volleyball, being outdoors, spending time with her friends, and playing with her dog, Sadie. Jaws came to the clinic summer 2015 with a broken jaw, severly underweight and needing a home. Initially the plan was to rehabilitate him and find him a loving home. He now lives at the clinic where he loves to play with dirt chunks, fetch suckers, drink from the toilet, play with leashes, and sneak outside at any chance. If you come see us, Jaws will be the first to greet you, tongue out and all!